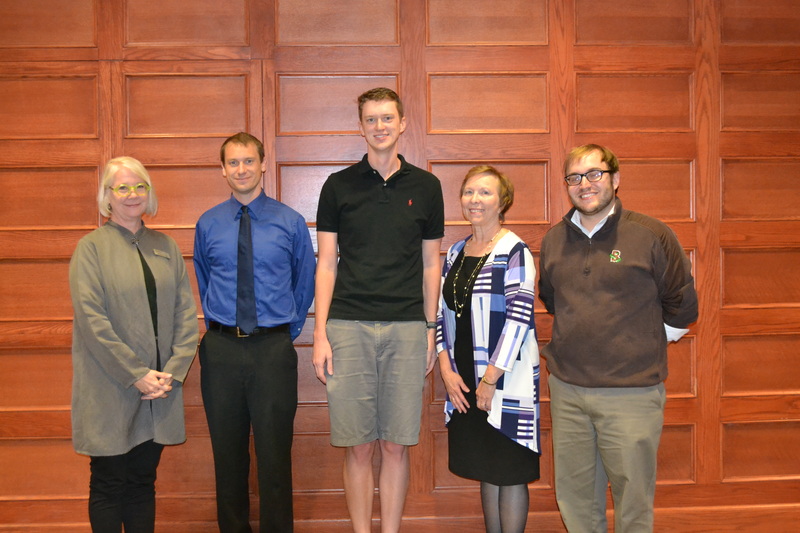 Kansas State University’s university distinguished faculty members will recognize three outstanding graduate students with 2015 University Distinguished Professors Graduate Student Awards. At the Sept. 15 awards ceremony, Andrew Marshall, doctoral student in psychological sciences, North Kingstown, Rhode Island, received $5,000; Adam Kell, doctoral student in chemistry, St. Peters, Missouri, received $2,500; and Sam Procter, doctoral student in computing and information sciences, Manhattan, received $2,500. The awards recognize graduate students who have shown exceptional achievement in graduate studies and demonstrate excellence in scholarship through publications and other accomplishments appropriate for his or her academic field. Kansas State University’s university distinguished professors have established a set of guidelines and criteria for the evaluation of candidates and Carol Shanklin, dean of the Graduate School, coordinates the selection process. Marshall’s dissertation is “A reinforcement-learning approach to understanding loss-chasing behavior in humans and rats.” Using multiple experimental methods and reinforcement-learning and computational-analytical techniques, his research will determine the underlying mechanisms of loss-chasing behavior in both humans and rats, a nonhuman pre-clinical animal model of human risky choice behavior. His advisor is Kimberly Kirkpatrick, professor of psychological sciences. Kell’s dissertation is “Energy Transfer and Exciton Dynamics in Photosynthetic Pigment-Protein Complexes.” His research focuses on attempting to understand fundamental processes — energy transfer, structure-function relationships, etc. — in photosynthetic pigment–protein complexes. His advisor is Ryszard Jankowiak, university distinguished professor of chemistry. Procter’s dissertation is “An Application Development Environment for Medical Application Platform Apps.” His work is focused on creating a development environment for software applications that would be used to organize medical devices into a system of cooperating medical devices. His advisor is John Hatcliff, university distinguished professor of computing and information sciences. “The funding from of the award will enable me to travel so that I can meet, and work face-to-face with, collaborators from other institutions and universities, such as the Software Engineering Institute at Carnegie Mellon University,” Procter said. For information about the UDP Graduate Student Awards visit the Graduate School. 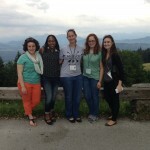 Graduate students and postdoctoral researchers, world wide, attended the 2015 meeting. A Kansas State University doctoral student spent part of her summer interacting with Nobel laureates, postdoctoral researchers and graduate students from across the world in physics, physiology, medicine and chemistry. Courtney Passow, a doctoral student in biology from Round Rock, Texas, attended the 65th Lindau Nobel Laureate Meeting in Lindau, Germany. Passow was one of 672 young scientists selected worldwide to attend the meeting.The Council for the Lindau Nobel Laureate Meetings invited Passow to attend the meeting, which occurred June 28 to July 3, 2015. Passow is studying the underlying physiological and genetic mechanisms of adaptation to natural stressors. She focuses on Poecilia mexicana, a small live-bearing fish that lives in the presence and absence of hydrogen sulfide, a natural toxicant. Passow has been conducting research with Michael Tobler, assistant professor in the Division of Biology. Tobler nominated Passow for the prestigious designation of attending the Lindau Nobel Laureate Meeting. Kansas State University is recognizing the recipient of the inaugural Marie R. Bonebrake Graduate Award. Zenova Williams, doctoral student in Marriage and Family Therapy, Vicksburg, Mississippi, will receive $2,400. 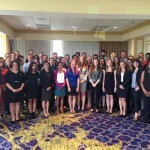 The award recognizes graduate students based on academic merit and financial need. He or she must demonstrate excellence in research, scholarship and creative inquiry appropriate for his or her academic field. The Graduate School has established a set of guidelines and criteria for the evaluation and selection of the candidate. Williams is examining and predicting relationship quality in interracial relationships using latent growth curve model. 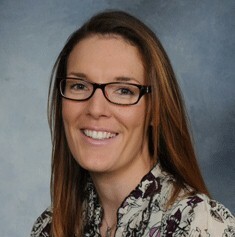 Williams’ advisor is Joyce Baptist, associate professor in marriage and family therapy. The Marie R. Bonebrake Graduate Award was established to honor Case Bonebrake’s late wife, who received her bachelors and master’s degrees from Kansas State University. Noortje Notenbaert, master’s student in agronomy, is one of 10 students nationwide awarded the new Monsanto Graduate Student Scholarship for 2015. Notenbaert, whose adviser is Chuck Rice, university distinguished professor of agronomy, received the scholarship in the amount of $25,000 for the 2015-16 academic year. The scholarship program, in its first year, was established to recognize outstanding diverse students enrolled a master’s degree program in either agriculture-related or science, technology, engineering and math, or STEM, fields. Notenbaert was born and raised in Belgium and came to America at the age of 21. After serving in the military for three years, she enrolled at K-State and earned a bachelor’s degree in biology. “As a biology student, I had taken soils classes that I enjoyed very much and I decided to get another bachelor’s degree at K-State, this time in agronomy. After that, I started my master’s degree in agronomy under Dr. Rice with a focus on soil microbiology,” Notenbaert said. Her research is still in the preliminary phase, but it looks at differences in microbial community structures within the rhizosphere of different corn hybrids. “After achieving my educational goals, I plan to apply myself in a research environment that focuses on improving crop production while also working toward a better environment,” she said. According to Monsanto, the purpose of the scholarship is to meet the challenges the world faces in feeding 9 billion people by 2050, and investing in future leaders pursuing STEM careers in food and agriculture is key. The company believes the next generation of innovators will be the ones to ascent and meet the challenges of global food security. This announcement was written by Steve Watson and published in K-State Today. Amanda Wilder, a food science master’s degree student, Meridian, Idaho, has been awarded a 2015 Meat Industry Suppliers Alliance scholarship. Randall Phebus, professor in animal science and industry, is her mentor. This $10,000 national scholarship is awarded to outstanding students in the meat and food science disciplines working to promote and develop state-of-the-art technology and technical information to support the meat industry. Meat Industry Suppliers Alliance is a sector council within the Food Processing Suppliers Association, a global trade association serving suppliers to the food and beverage industries. Her research on antimicrobial intervention processes for use in controlling foodborne pathogens during postharvest beef processing is supported by the U.S. Department of Agriculture, National Institute of Food and Agriculture Coordinated Agricultural Projects grant to control Shiga toxin-producing E. coli across the beef production-to-consumption continuum. This announcement was written by Randall K. Phebus and published in K-State Today. 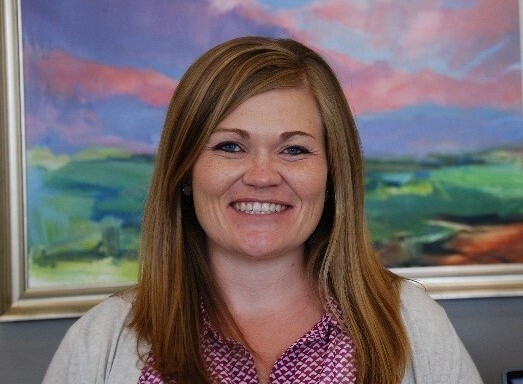 Emily Vaterlaus Patten, a doctoral candidate in the College of Human Ecology, Boise, Idaho, has received a $10,000 scholarship awarded to registered dietitians who demonstrate a commitment to the future of the profession through teaching and research. Patten is one of only 10 national winners selected by for a 2015 Commission on Dietetics Registration Doctoral Scholarship. She is focusing her research on leadership in clinical dietetics practice. “Emily’s work fulfills a significant gap in dietetics research,” said Kevin Sauer, associate professor in dietetics, Department of Human Nutrition at Kansas State University and Patten’s major professor. The scholarship winner completed a Bachelor of Science degree in dietetics and master’s degree in nutritional science from Brigham Young University, Provo, Utah. She has been a clinical dietitian and an administrative dietitian and regional educator in Salt Lake City, an Institute of Child Nutrition consultant at the University of Mississippi in Oxford and a Child Nutrition Management Academy cadre trainer with the Kansas State Department of Education in Topeka. Patten currently teaches management in dietetics at K-State and plans to teach administrative dietetics at a university. Also receiving one of the coveted scholarships is Catherine Metzgar, president-elect of the College of Human Ecology alumni advisory board. Metzgar graduated from K-State with a degree in dietetics in 2010 and did her internship with Hershey Company in Pennsylvania. Commission on Dietetics Registration is the credentialing agency of the Academy of Nutrition and Dietetics, the nation’s largest organization of food and nutrition professionals. This announcement was written by Jane Marshall and published in K-State Today. Cat Town Tailgate – You are invited!